What are the best tourist attractions in Istanbul? Founded in Neolithic times, today Istanbul is a modern and vibrant city that still remains true to its historic heritage through its many iconic mosques, cathedrals, basilicas, and ancient bazaars. It is a city which wears it history and cultures well, blending them into a lively and exhilarating city which attracts travellers from all over the globe. Situated between the East and the West, the largest city in Turkey appeals to all visitors with its aura of charm and intrigue. If you are planning a holiday to Istanbul, we’ve put together a list of the top-rated and best tourist attractions in the city which you won’t want to miss. Ruling over the Istanbul skyline at 67 metres high, the Galata Tower offers exquisite views of the old city and the surrounding areas. 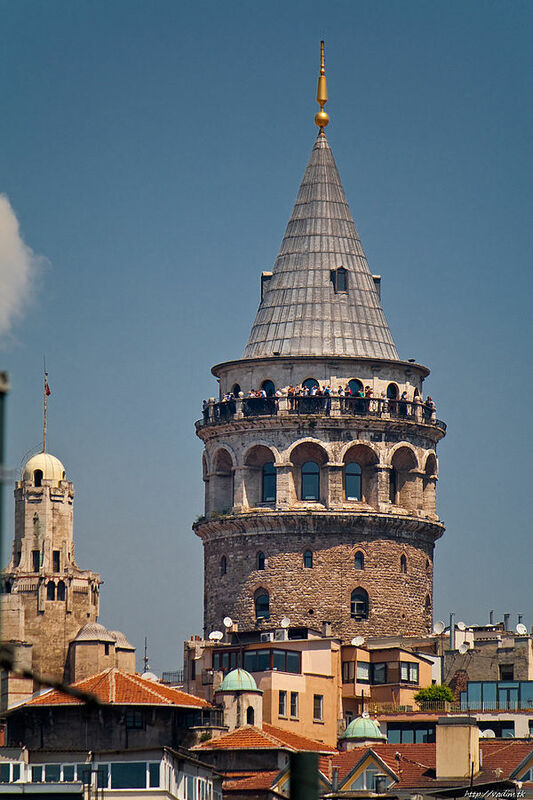 Known as the Tower of Christ, the medieval stone tower was the tallest building in the city at the time of its building in 1348, and still stands tall over Istanbul today. Over the centuries the tower has undergone a number of modifications, and was once used as an observation tower in order to spot fires. Today, the upper level of the tower includes a restaurant, café, and nightclub which can be reached by elevator. Combined of three different museums, the Istanbul Archaeological Museum is one of the most important museums in Turkey. Together, the Ancient Orient Museum, The Archaeological Museum and the Tiled Kiosk Museum contain more than a million objects from civilisations all over the world. These includes thousands of precious artefacts including Alexander the Great’s sarcophagus. Although off the beaten tourist path, visitors to the Chora Church agree that the journey is one well worth taking. Known as the Church of the Holy Saviour in Chora, it hosts magnificent mosaics and frescoes which depict the life of Jesus and his mother Mary. The church is one of the most stunning surviving works of Byzantine architecture and dates back to the days of Constantine. If you love to shop, you won’t want to miss out on a visit to the Grand Bazaar. With 5,000 shops, the Grand Bazaar is one of the largest indoor marketplaces in the world, and receives over a quarter of a million visitors per day. You will be spoilt for choice when browsing the many items featured, such as jewellery, carpets, antiques, hand painted ceramics and spices. Here is where you will find souvenirs such as old coins, inlaid weapons, antique furniture and precious gems. Once a place of worship that has served a number of different religions over the centuries, the Hagia Sophia was once the largest cathedral in the world, and has served as inspiration for a number of famous mosques, including the Blue Mosque. It is most famous for its range of mosaics depicting religious scenes, and was opened to the public as a museum in 1935. If you can’t wait to go to Istanbul and check out the amazing attractions, click here for some great hotel deals. Shake Your Bon Bon in Bodrum! Posted in Turkey and tagged with Attractions, churches, Europe, Istanbul, Middle East, mosques, museums, Turkey. RSS 2.0 feed.